It’s back to school time! Can you believe it? When I was in elementary school, I can remember sitting at my desk practicing cursive writing over and over and over. My kid’s school doesn’t teach cursive handwriting and I don’t really understand why. Every child should at least be able to sign their name. I guess with all the technology available today, it’s just not as important as it used to be. 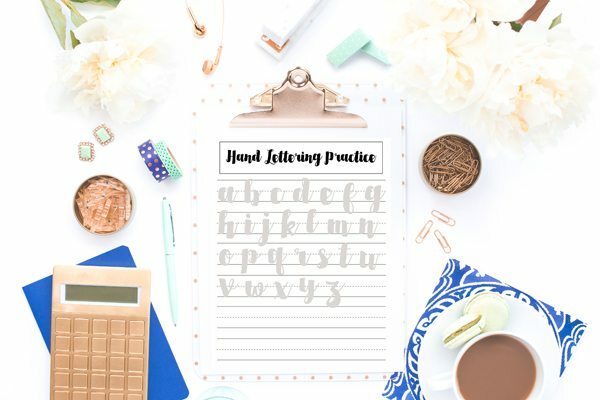 With that in mind, I’ve teamed up with my favorite hand lettering bloggers to bring you some back to school themed hand lettering practice sheets. They aren’t exactly cursive, but they definitely are good practice for kids AND adults. And they’re fun so it’s a win-win. My hand lettering journey started about 1.5 years ago and is still a work in progress. I look back at my hand lettering in the beginning and am amazed what a little bit of practice can do. You can make so many different types of projects using hand lettering like coffee mugs, prints, and cut files. Once you learn the basics, the sky is the limit for your designs. The font that I used to make these sheets is Sortdecai Brush Script and you can find it here. For hand lettering, I recommend using Tombow Dual Brush Pens. They come in both primary and bright colors. 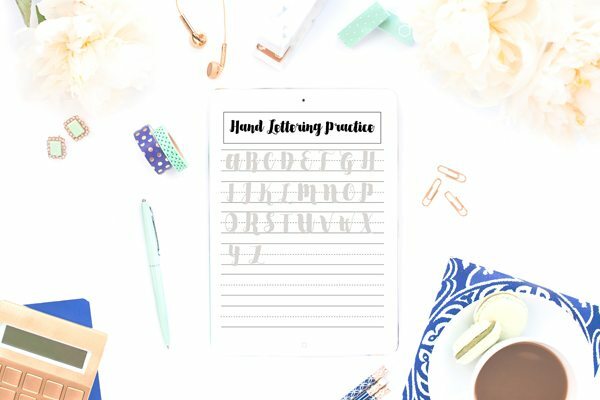 If you’re interested in transferring your hand lettering into a digital format, check out this tutorial. 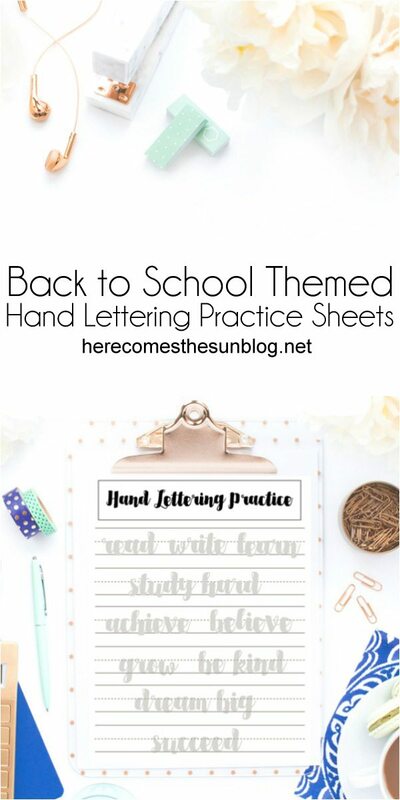 In addition to these back to school themed hand lettering practice sheets, I also have more hand lettering sheets practice sheets that you can find here. 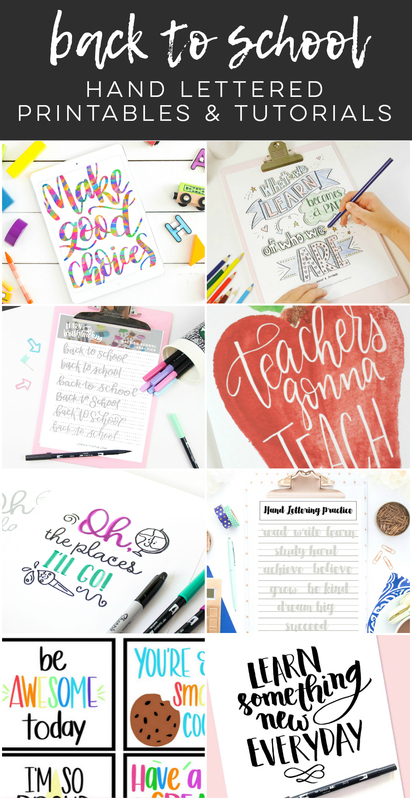 Be sure to check out all the amazing hand lettering resources below from my blogging friends.